The best vitamins and supplements for hot flashes use only organic ingredients and do not contain any artificial additives. However, it is essential to know that these supplements do not work the same on all people. Therefore, be sure to look for a product that works for you and does not have adverse side effects. 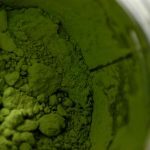 First, not all supplements on the market are FDA approved. Therefore, it is much safer to buy health supplements from a licensed practitioner or pharmaceutical company. Before you consume any supplements, ensure your body is prepped up to process all the ingredients contained in the capsules. Supplements are more effective if you have healthy gut, liver, and adrenal glands. It is advisable to take probiotics before taking vitamin supplements to increase the number of good bacteria in your stomach, which improves gut health. 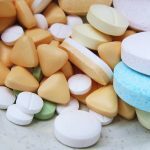 Supplements work best if you have healthy adrenal glands because hormonal imbalance can negatively affect the absorption of menopause supplements. 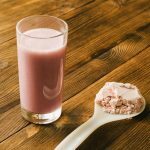 Finally, be sure to buy supplements with at least five ingredients that will benefit your body. Menopausal women tend to lose body nutrients faster than younger women. This is because estrogen levels drop during menopause that in turn affects the body’s physiological processes. Supplementing with the best vitamins and supplements can help slow down menopause and alleviate most of the symptoms that come with it. When buying supplements for hot flashes, consider nutritional products with more natural ingredients and fewer fillers. In addition, go with vitamin supplements that are packed with all the ingredients that will help manage the symptoms of menopause. 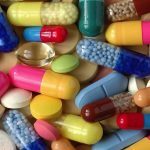 To start you off, here are some of the ingredients to expect in vitamin supplements for menopausal women. Calcium is good for bone health and promoting a strong skeletal structure. Low estrogen levels trigger the onset of osteoporosis, a disease that causes calcium depletion and bone atrophy. Supplementing with 1000 to 1200 mg of calcium every day can help boost bone health and prevent bone-degrading diseases. Vitamin D promotes bone health during old age. Though we get vitamin D directly from the sun and the food we eat, the amounts are not always enough to keep our bodies healthy. This is why it is essential to supplement with at least 600 IU of vitamin D every day. Enough vitamin D in the body can help reduce the risks of high blood pressure, heart attack, allergies, respiratory issues and breast cancer. Omega 3 are fatty acids that help improve cognitive function and reduce organ inflammation. Omega 3 fish oils improve cardiovascular health by lowering triglyceride levels in the blood. In addition, omega 3 helps preserve brain function and fight off diseases such as Alzheimer’s, dementia, or mental slowness. 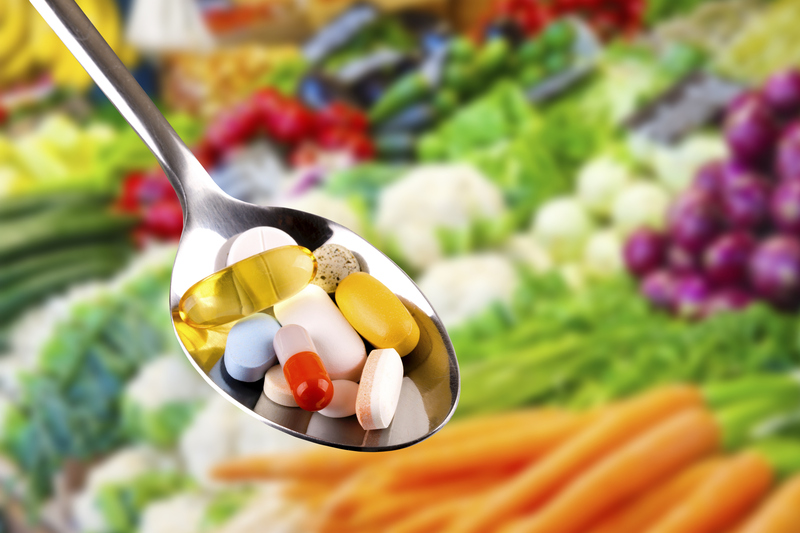 Multivitamins are a backup solution to the inadequate nutrients we get from the food we eat. When food is highly processed or cooked in heat longer than it should, some of the vital nutrients required by the body are lost. Therefore, taking multivitamin supplements help replenish the lost nutrients and maintain a healthy body. Flaxseed or linseed oil contains high quantities of phytoestrogens as well as lignans that help alleviate hot flashes or night sweats. Flaxseed oil also promotes cardiovascular health by reducing cholesterol levels in the blood. Red clover plant contains an isoflavonoid known as isoflavone, which reduces the frequency of hot flashes and night sweats. Moreover, clinical studies show that red clover has anti-anxiety effects, which help tone down stress levels and improve moods. Red clover may also help with insomnia. Black cohosh roots can improve menopause symptoms such as hot flashes, anxiety, increased stress, and vaginal dryness. Black cohosh also helps to promote sleep in menopausal women. This oil is one of the ingredients in phytoestrogens and it helps reduce hot flashes. Evening primrose oil also contains high amounts of Omega-6 fatty acids that can help reduce pain, inflammation, and boost brain function. Omega 6 fatty acids also promote bone health. This product is rich in vitamin D, which helps to promote bone, muscle and cardiovascular health. Thorne research D-5000 vitamin supplement also boosts the body’s immune function. Each capsule contains high amounts of vitamin D3, which is a rare vitamin that is usually not available in most of the foods we eat. Dr. Formula’s vitamins blend of natural herbs are rich in phytoestrogens, which help to minimize hot flashes, night sweats, and boost energy levels in women. This product is ideal if you suffering from more than one symptom of menopause. Amberen supplements provide relief for over 12 symptoms of menopause by promoting hormonal balance in women. The main ingredients in this product include angelica root and black cohosh. Besides providing relief for hot flashes, these two herbs also work as natural hormone regulators. This makes Nested Natural menopause supplements an ideal substitute for the otherwise expensive Hormone Replacement Therapy. Women who have supplemented on this product report having felt relief within a week of using it. Other women claim they felt relief within days of supplementing with Dr. Tobias supplements. 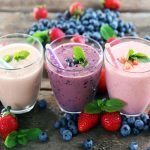 Staying Cool supplements provide relief from the recurring, often unbearable symptoms of hot flashes. It reduces the sweating, calms a pounding heart, and has a cooling relief from excess heat. Hormonal imbalance during menopause can lead to excessive weight gain. Fortunately, this product is formulated with the right ingredients to help women manage their weight during menopause. Source Naturals Hot Flash pills contain additional ingredients that help women get through menopause safely. This product is non-GMO and packs ingredients that are fit for vegans. This product has proven to be effective because it has helped many women before. Pure Essence Labs supplements boast of natural ingredients that take care of common symptoms associated with menopause. Estroven supplement does not only provide an energy boost, they also reduce feelings of tiredness in the long-term. Moreover, all ingredients used in this product are completely natural and safe for use. One capsule has about 5000 IU of D3, which is more than what you would get in cheese, egg yolk, or cod liver oil. Moreover, this product is free of fillers that may harm your health. It does not contain additives such as sodium benzoate, BHA, BHT, or lactose. 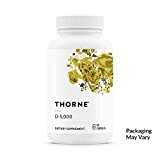 Thorne research D-5000 capsules are made with pure, organic ingredients. This product is also gluten-free and does not contain dairy, soy, or yeast. It is not only suitable for vegans but it is also good for people who are allergic to gluten, peanuts, tree nuts, or eggs. The recommended dosage is one capsule a day, which packs enough vitamin D for active women who want to stay healthy. Moreover, you can get Thorne Research vitamins in varying dosages. 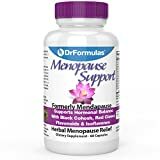 This supplement contains ingredients that help fight off fighting off the unpleasant symptoms of menopause and also help women get through menopause with fewer problems. Dr. Formula’s vitamins blend of natural herbs are rich in phytoestrogens, which help to minimize hot flashes, night sweats, and boost energy levels in women. Dr. Formulas multivitamin supplement is also recommended for women with increased stress levels. The supplements help fight off irritability and mood swings which are common symptoms of menopause. Dr. Formula menopause vitamins contain several raw ingredients including chaste berry, red raspberry, wild yam, and false unicorn. These ingredients work well to alleviate the adverse symptoms of menopause. Dr. Formulas supplements are processed and packaged in the USA under sanitary conditions recommended by the National Sanitation Foundation guidelines. This product is GMP and FDA approved as well making it fit for consumption. This product is ideal if you suffering from more than one symptom of menopause. Amberen supplements provide relief for over 12 symptoms of menopause by promoting hormonal balance in women. All ingredients contained in this product are organic and clinically tested to be safe for human consumption. 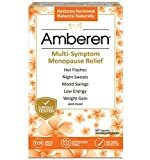 Amberen menopause relief supplements help alleviate symptoms such as hot flashes, night sweats, low energy, stress, and mood swings. The supplements will also help improve symptoms like irritability, joint ache, low libido, insomnia, and migraines. In some women, Amberen supplements can improve mental concentration and help fight excess weight. This product is clinically tested and approved for human consumption with zero side effects. The main ingredients used in making the capsules include Vitamin E, amino acids, Succinates, and minerals. This product helps balance hormones in women who are in their perimenopause or menopause stages. It helps fight hot flashes that may occur during menopause and could go up to 7 years before they clear. Moreover, Nested Naturals supplements use natural ingredients that target many other unpleasant symptoms of menopause. One more benefit of this supplement is that it helps protect the liver from damage. A healthy liver is vital for hormone secretion and dispersion to various body organs. Nested Naturals supplements contain milk thistle, which is known to promote liver health. 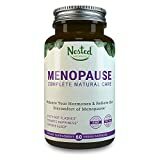 Nester natural menopause supplements also help to minimize vaginal dryness in menopausal women. This product combines black cohosh, milk thistle, and Dong Quai to not only reduce vaginal dryness but also fight off depression. Dong Quai is also categorized as an antispasmodic and is used in Chinese medicine as a pain reliever. 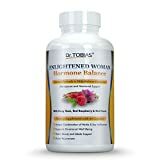 If the symptoms of menopause are weighing you down and you want to feel better fast, Dr. Tobias hormone balance supplements will do that for you. Women who have supplemented on this product report having felt relief within a week of using it. Other women claim they felt relief within days of supplementing with Dr. Tobias supplements. The main ingredients in this product include soy, Dong Quai, red clover, and red raspberry. Dong Quai is a known herb in Chinese medicine that is used to provide relief from headaches and inflammation. Red clover helps to get rid of night sweats, hot flashes and alleviates symptoms like stress and anxiety. Similarly, raspberry provides relief from hot flashes, headaches, and anxiety. The fruit also contains nutrients that are effective in treating joint and muscle pain. One other unique benefit of Dr. Tobias Hormone Balance supplements is the role it plays in regulating blood pressure. The natural ingredients in this product were handpicked to fight the mentioned symptoms and improve cardiovascular health including alleviating the symptoms of high blood pressure. Staying Cool supplements provide relief from the recurring, often unbearable symptoms of hot flashes. It reduces the sweating, calms a pounding heart, and has a cooling relief from excess heat. This product also packs natural ingredients and does not contain any artificial fillers. Staying Cool nutrition pills are engineered with the finest organic ingredients. Each capsule contains a specified amount of black cohosh, Vitex, and Ashwagandha. 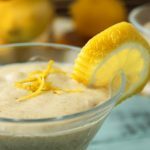 All these ingredients combined help in managing menopause symptoms such as night sweating, mood swings, irregular sleep patterns, and vaginal dryness. Every ingredient in this product is clinically tested and is free from artificial ingredients, binders, gluten, wheat, or dairy. Ashwagandha flower extract combines with tree berry, hops, and magnolia to provide a natural way for hormone balance and regulation. Another vital ingredient in this product is St. John’s Wort, which provides immediate relief from hot flashes, stress and improves sleep patterns. 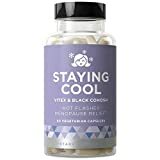 Staying Cool supplements promise long-term relief for women trying to get through menopause with fewer issues. Moreover, by buying this product, you will be helping Staying Cool’s course of supporting a child each year with the vitamins they need. Hormonal imbalance during menopause can lead to excessive weight gain. Fortunately, this product is formulated with the right ingredients to help women manage their weight during menopause. Moreover, this product provides multiple-relief against symptoms such as hot flashes, night sweats, and cravings. During menopause, women produce less estrogen which hinders the body’s ability to control fat gain. Serotonin levels drop as well leading to increased appetite and inefficiency in metabolizing food. Fortunately, Estroven menopause relief supplements carry natural ingredients that provide relief from these symptoms and more. Estroven menopause supplements contain black cohosh, which is a natural herb that provides relief from hot flashes, stress, and mood swings. This product also contains Soybean extract which packs isoflavones that provide relief from hot flashes. In addition, Estroven menopause supplement contains the plant extract Synetrim, which helps replenish serotonin, an appetite-suppressing hormone. Enough serotonin in the body helps control appetite and cravings, which is essential in weight loss management. As the name suggests, this product is designed to reduce the discomfort caused by hot flashes. 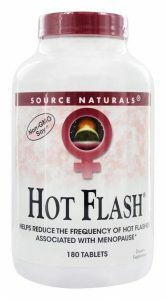 Moreover, Source Naturals Hot Flash pills contain additional ingredients that help women get through menopause safely. This product is non-GMO and packs ingredients that are fit for vegans. Hot flashes can happen during the day or night and come with many unwanted symptoms. This product uses Soy extract to provide fast relief from hot flashes and night sweats leaving you feeling dry and fresh after a good night’s sleep. There are no additives in this product such as sweeteners, artificial coloring, fragrances or preservatives. If you have been looking for a product that addresses menopause hot flashes fast, Source Natural supplements are highly recommended. With the excessive heat and sweating completely taken care of, you can now look forward to bedtime more often. This product has proven to be effective because it has helped many women before. Pure Essence Labs supplements boast of natural ingredients that take care of common symptoms associated with menopause. What makes this product special is that it targets one organ in the body, the adrenal glands. When women reach menopause, their ovaries become less active, which hinders the production of progesterone. This leaves the adrenal glands as the only trigger for progesterone production. If the adrenal glands are not healthy, the levels of progesterone in the body can drastically plummet and trigger some of the common symptoms of menopause. Low levels of progesterone in women is what causes hot flashes, stress, hormone imbalance, and mood swings. Pure Essence labs supplements are formulated to provide enough nutrients to strengthen the adrenal glands for progesterone synthesis. This attacks the main problem at its core and eliminates menopause symptoms in the long-run. If you have been looking for both a short-term and long-term solution to hormonal health during menopause, this product would be ideal for you. 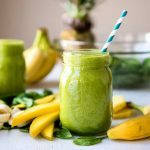 It provides the required nutrients to adrenal glands, it also strengthens these organs to ensure that menopause symptoms don’t recur in future. While most menopause supplements tackle issues like hot flashes and mood swings, few address the problem of low energy levels. Estroven supplement does not only provide an energy boost, they also reduce feelings of tiredness in the long-term. Moreover, all ingredients used in this product are completely natural and safe for use. What makes Estroven a unique brand is that their products address the unique needs of women going through menopause. They understand that every woman is different and menopause symptoms will also be different. This product is packed with ingredients that will address as many pre and post menopause symptoms as possible. Estroven menopause supplements contain black cohosh, green tea leaf extract, soy isoflavones, and Yerba Mate leaf extract. This product also contains stearic acid, microcrystalline cellulose, and magnesium stearate. The only issue with this product is the use of artificial coloring ingredients such as titanium dioxide. This product will help alleviate symptoms like hot flashes, night sweats, and mood swings. It contains green tea leaf extract with antioxidants that provide protection against oxidative stress and makes the skin look younger. Yerba Mate extract contains polyphenols and caffeoyl that act as effective antioxidants and promote cardiac health. Soy isoflavones eliminate hot flashes so you wake up feeling relaxed and energetic. Though menopause is inevitable in aging women, its symptoms can be managed using health supplements. While buying menopause supplements, consider products that contain natural ingredients. In addition, it is a good idea to consult a physician before taking menopause supplements. Remember every woman is different and only a doctor can tell you the type of supplements to buy considering your physiology. 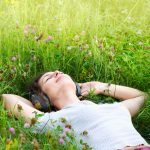 In our roundup of best vitamins and supplements for hot flashes, our top choice is Pure Essence Labs Transitions supplements. The reason for picking this product is that it addresses the root cause of the problem. Many of the symptoms of menopause come about because of a decrease in progesterone levels in the body. 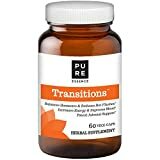 Pure Essence Labs Transitions pills replenish estrogen levels in the body and improve adrenal gland health providing protection against recurring symptoms. We hope that you found this information helpful. Do you know of any other supplements that help with hot flashes? Give us your thoughts in the comments section.